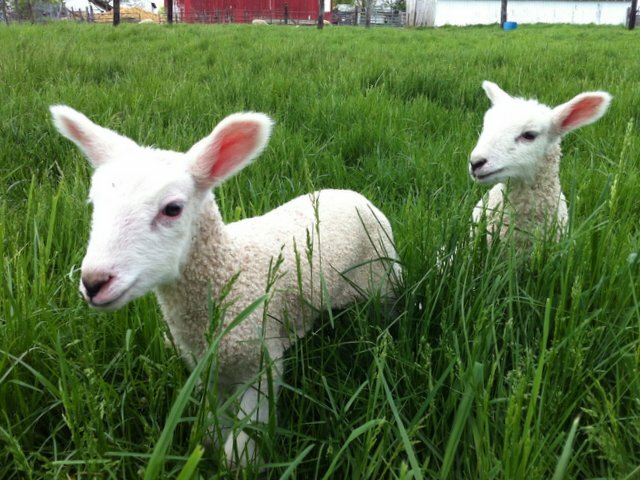 The lambs are about a week old and went out to pasture for the first time today. What an adventure! Here are Izzy’s twins, Erlend and Kristin. I’m not sure what is happening here, but I loved the picture! Tess is enjoying her first crack at motherhood. She has done very well! After all of the ewes and lambs had gone into the barn for the evening, I found this little one fast asleep in the grass. It was a very long day. You have been busy! They are so lovely. These pictures are so full of joy. 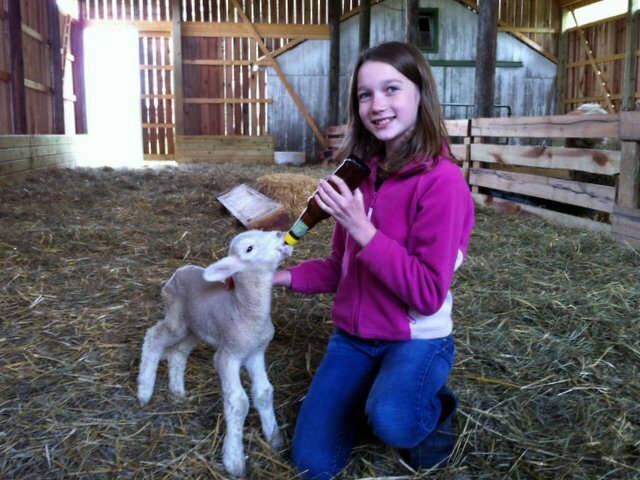 These lambs are so lucky…they are evidently loved very much. These pictures are so cute, it almost makes me want to become a shepherd! but I think I’ll just keep buying fleece, instead. Kate, what a beautiful life you have! I think these sheep are very lucky to have you as their human! See you Saturday. 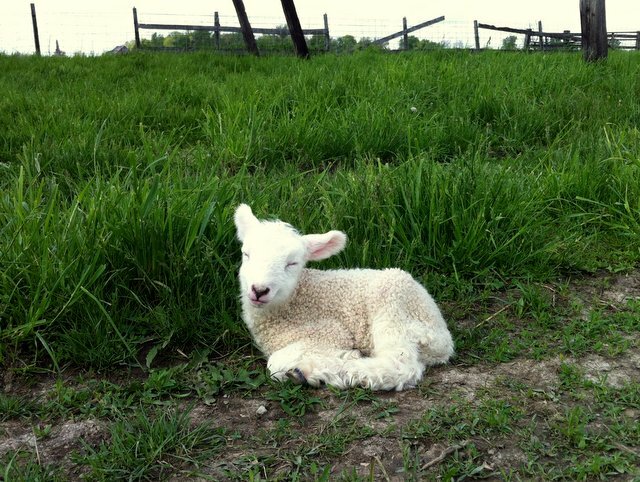 The lambs are really cute. 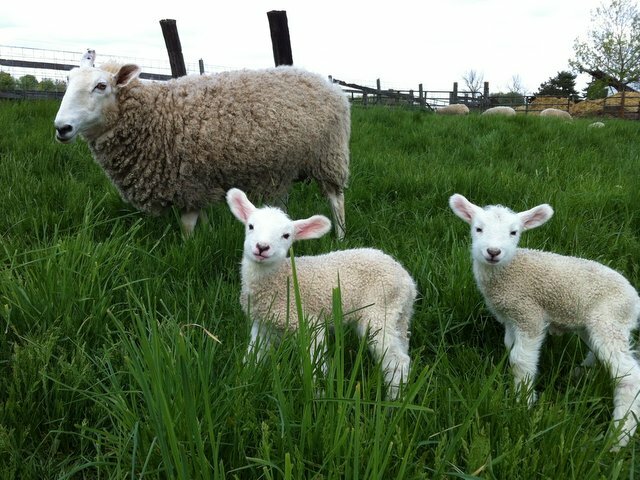 I had to laugh when I saw your twin baby lambs names. I am rereading Kristin Lavransdatter with a later translation. My mom was Norwegian and I spin, knit, and cook lots of Norwegian food. Ah! And are you enjoying the new translation? I wanted to read the original English translation first. I’m looking forward to reading the newer version soon.